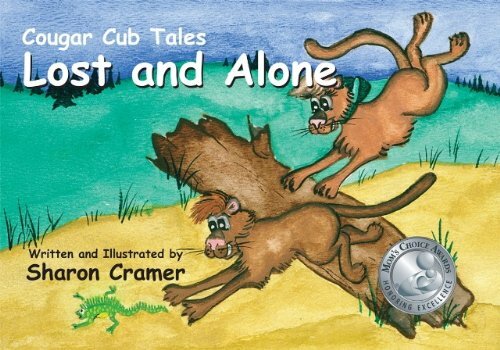 Cougar Cub Tales: Lost and Alone is about two sibling cougar cubs who live alone after losing their mother. The cubs are at odds one day, as siblings will be, and they decide to go their separate ways. The adventure becomes lonely and the cubs discover that the single most important thing is to find one another. Unusual circumstances come into play as the cubs are wonderfully reunited, never again to be separated.The story deals with the everyday childhood issues of sibling rivalry and conflict resolution and communicates to a child in a delightful, nonsensical rhyme. The tale is superbly illustrated with eighteen captivating watercolors. Sharon Jean Cramer was born in Jamestown, New York in 1960. She has lived throughout the United States, finally settling in the Pacific Northwest. She was trained in art at the University of Houston, then went to Idaho State University and then Gonzaga University where she ultimately obtained her Master's Degree. Sharon is married and has three sons of her own. She and the cougar cubs currently reside, happily, in Spokane, Washington.